Due to Postal Problem Sale of Punjab state Lohri Bumper is stopped now. 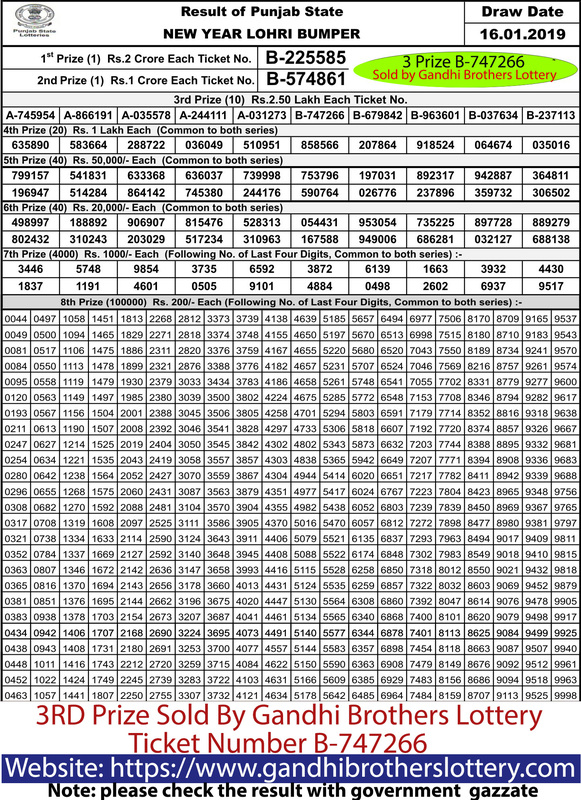 You can another lotteries, right now we have Punjab state Monthly lottery, Sikkim Lohri bumper, Goa State Rajshree Republic Bumper lottery. 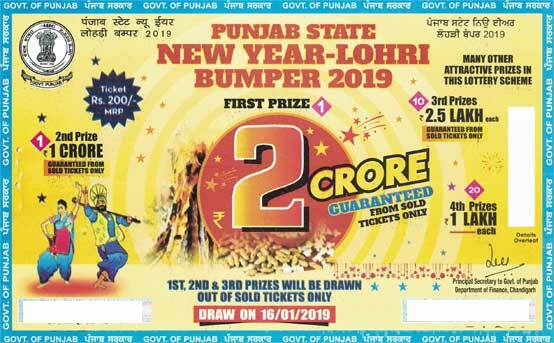 Many big and small prizes are in the Punjab state Lohri bumper Punjab state lottery of every scheme. From our website, you can buy Punjab state lottery tickets online by click on the order online button you can make an online payment. Our Paytm register number is 9815969889 Manmeet Singh, you can do Paytm on register Paytm number. Bank Transfer in our bank Acc.